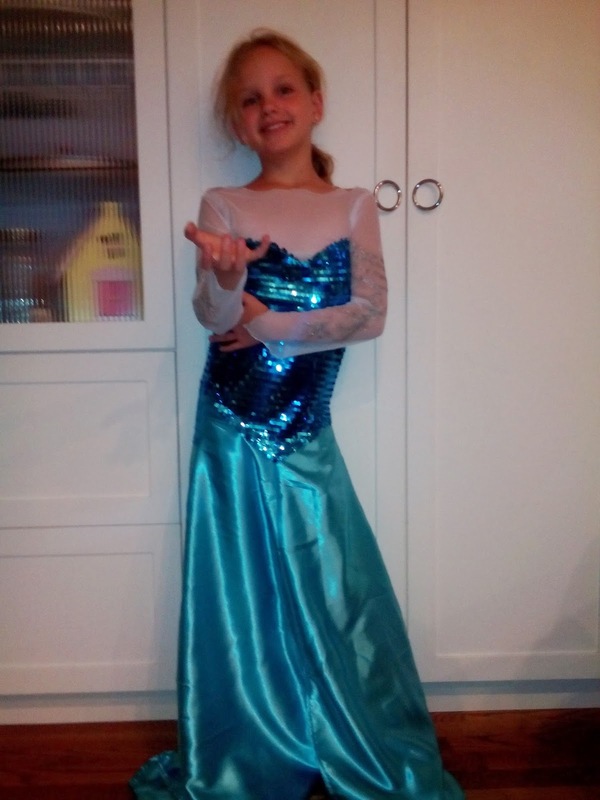 We're beginning to see something resembling Elsa! 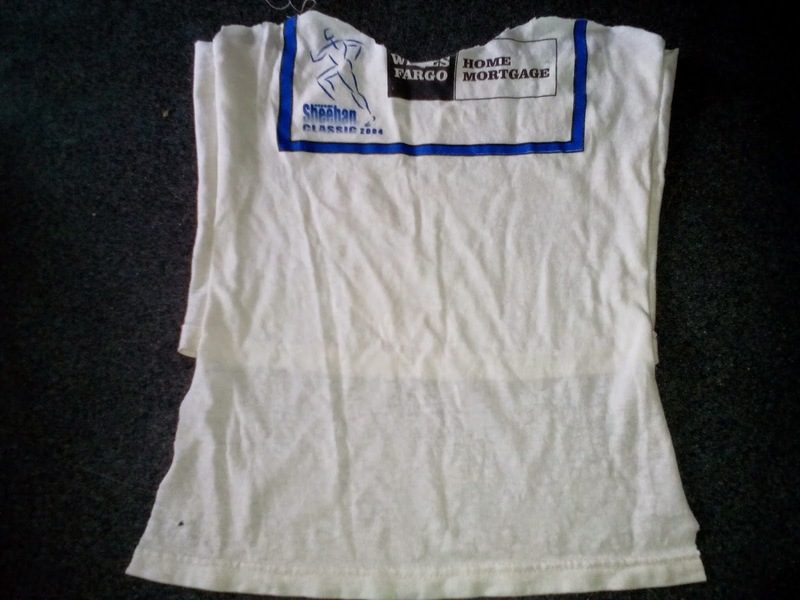 In these pictures, she is holding the bodice, which is sewn onto the skirt, to the undershirt, which has not yet been attached to the bodice. As you can tell, she is loving it. So, all that remains is the glittering of her cape, and attaching that, and voila, I think we're good to go. 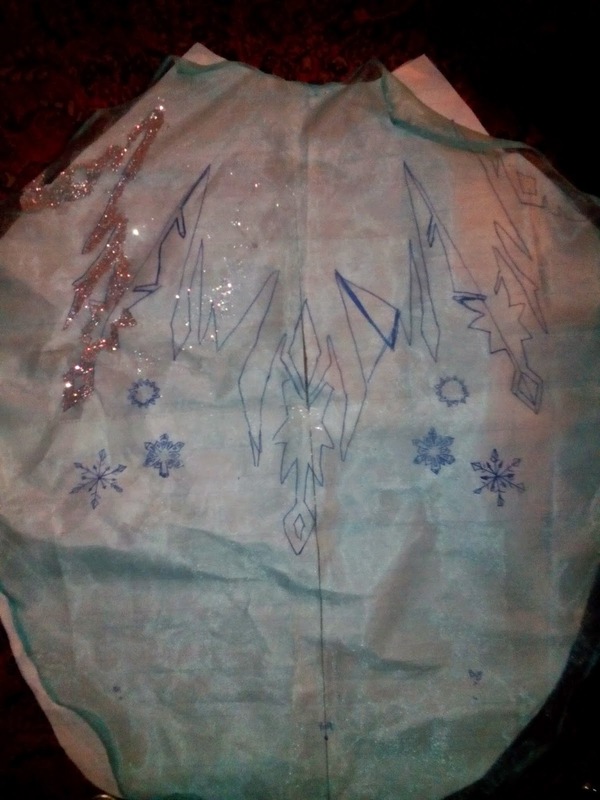 I've started glittering the cape below, and since I'm older and wiser, I put freezer paper underneath the design while the glue was drying, therefore eliminating the need to painstakingly remove the stuck-on paper with a Q-tip and nail polish. 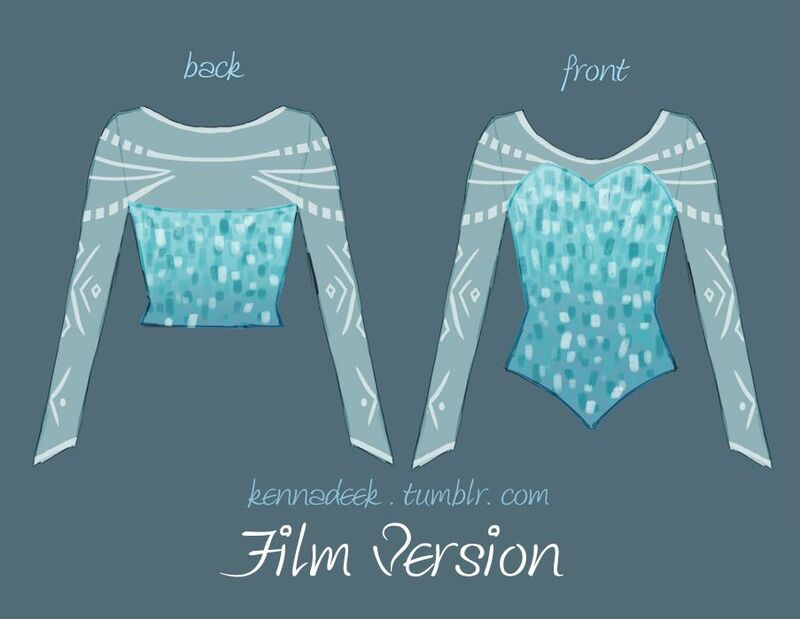 The planning took seemingly forever, but once I started with the actual fabric, serious progress has been made on the Elsa costume. 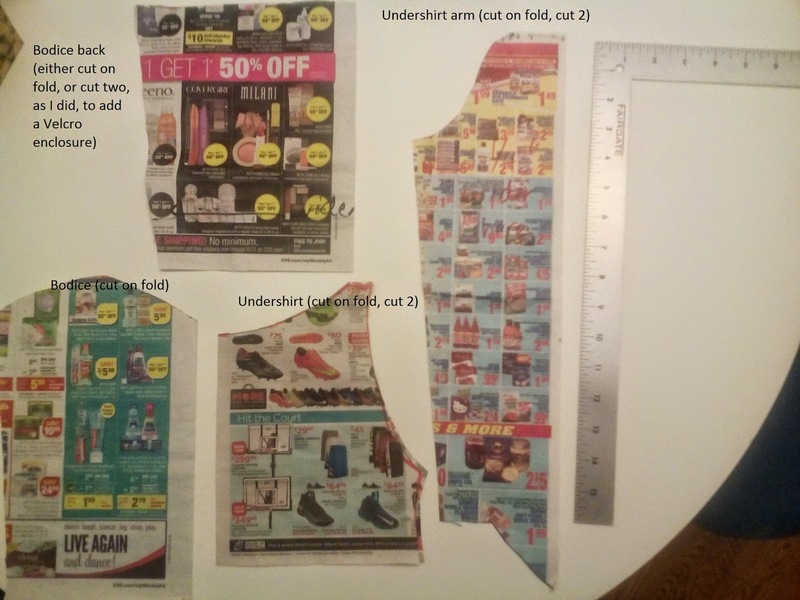 The first thing I did was cut the performance fabric for the undershirt, and before sewing the pieces together, I glittified them. I used the drawing from this photo to create a template on graph paper. 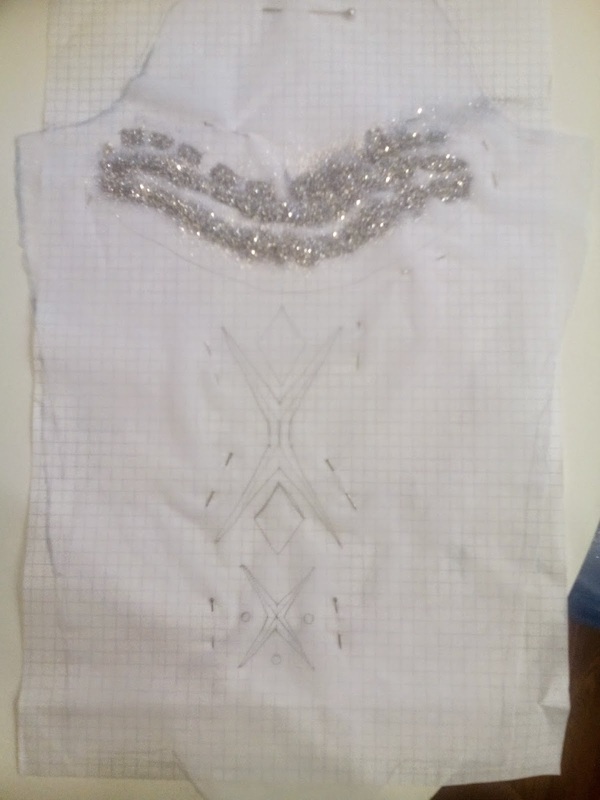 I used fabric Modge Podge to adhere the glitter to the fabric, but my mistake, and there's always a mistake, was to let the glue dry on the graph paper. Naturally, the glue stuck to the paper, and I needed to soak a Q-tip in nail polish remover to take the paper off the back of the fabric. 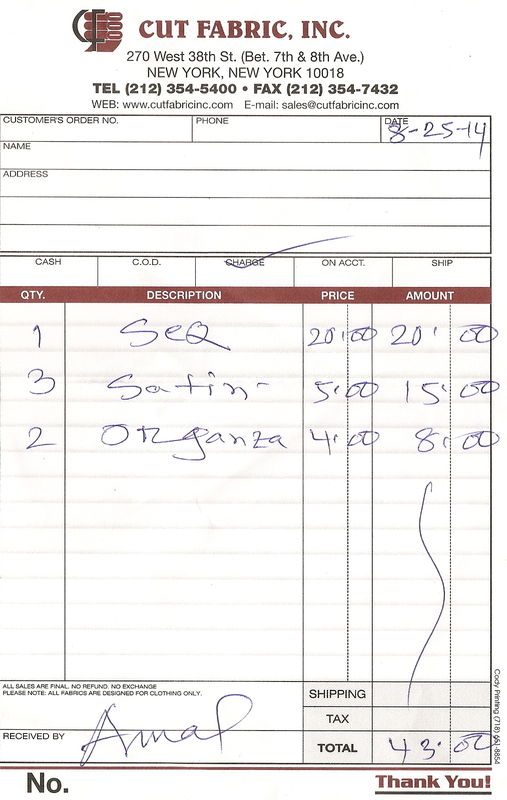 So, dear reader, after putting the glue on, remove the paper from the back of the fabric!!! 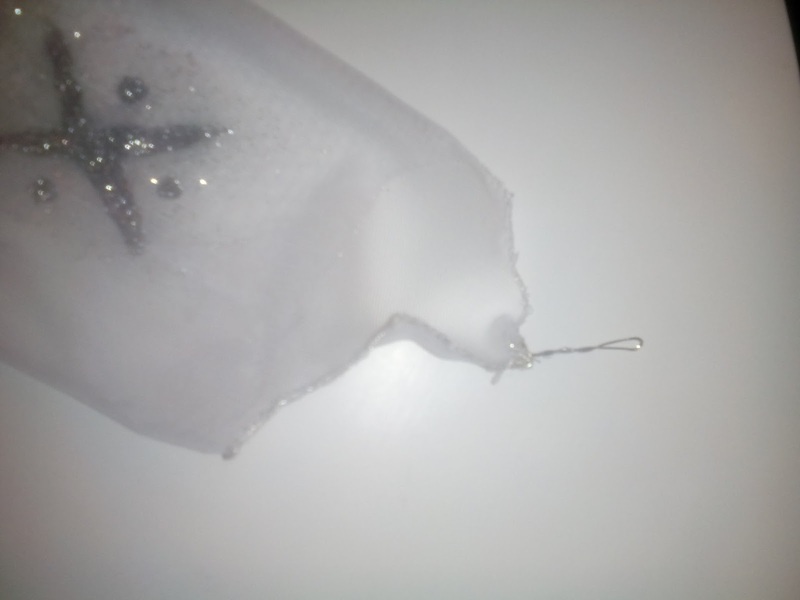 I sealed the glitter with another coat of the glue so that glitter would not be everywhere when the costume is worn. It is too late for my house, as glitter is in every crevice and corner, but nevermind. I edged the performance fabric with a zigzag stitch in metallic thread. Now that it is sewn together, I will connect the glittered arm designs across the chest and back using this drawing as my guide. 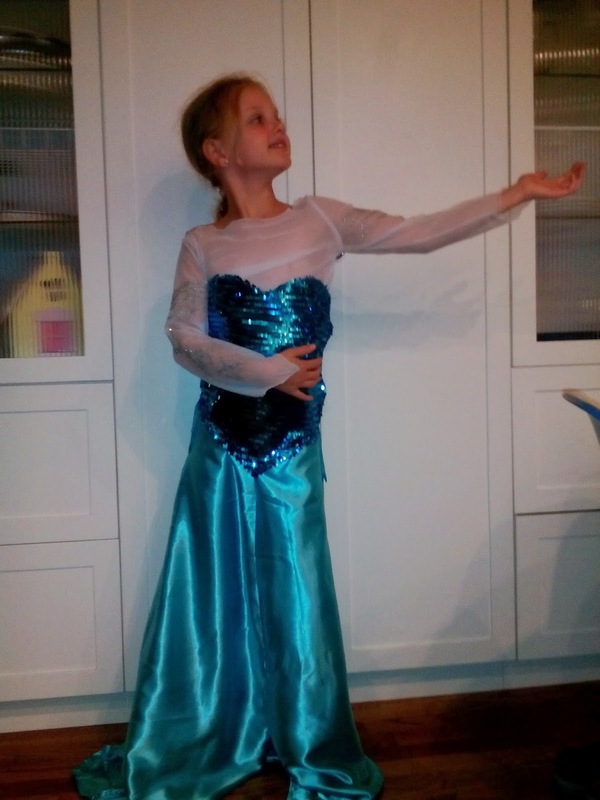 The bodice was the easiest part!!! 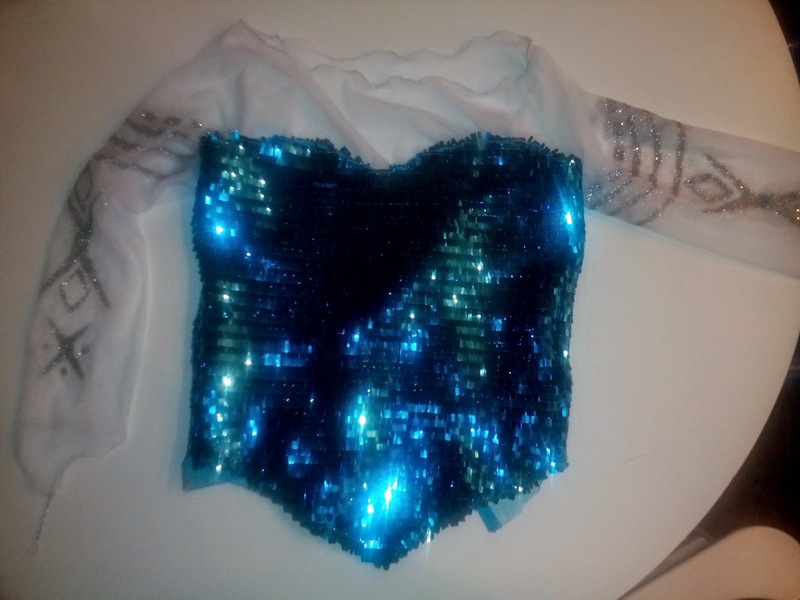 I was scared about the bodice, because I've never sewn sequined fabric before. 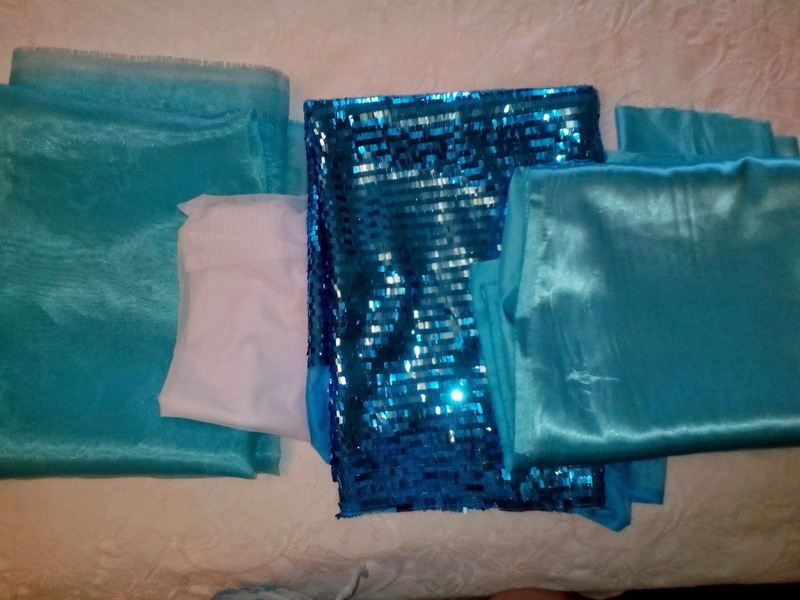 Okay, her mermaid costume was faux-sequined, and the glue attaching the sparkly bits clogged my sewing maching needle, but the bodice fabric had actual, sewn-on sequins on it. It could not have gone more quickly or easily. And the skirt was the same; those two pieces came together beautifully. So, on to the cape. 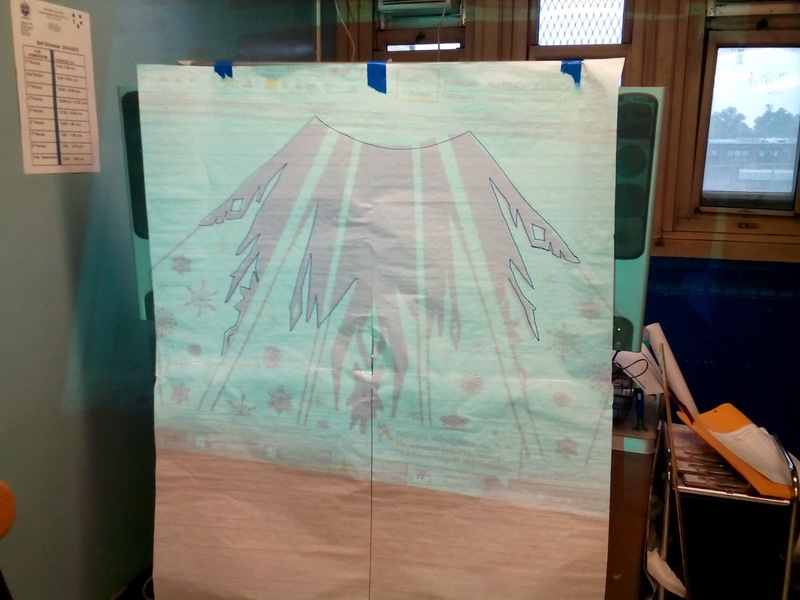 I traced from this site, and I used my school projector to copy it to chart paper (sometimes, just sometimes, being a teacher comes in handy). 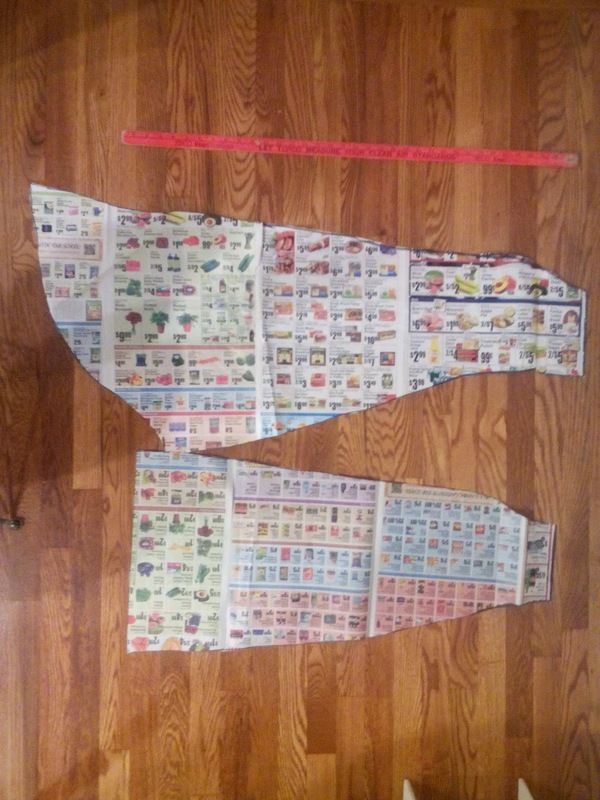 I cut it out and fit it to Tootie Pie, who claims it is not long enough. 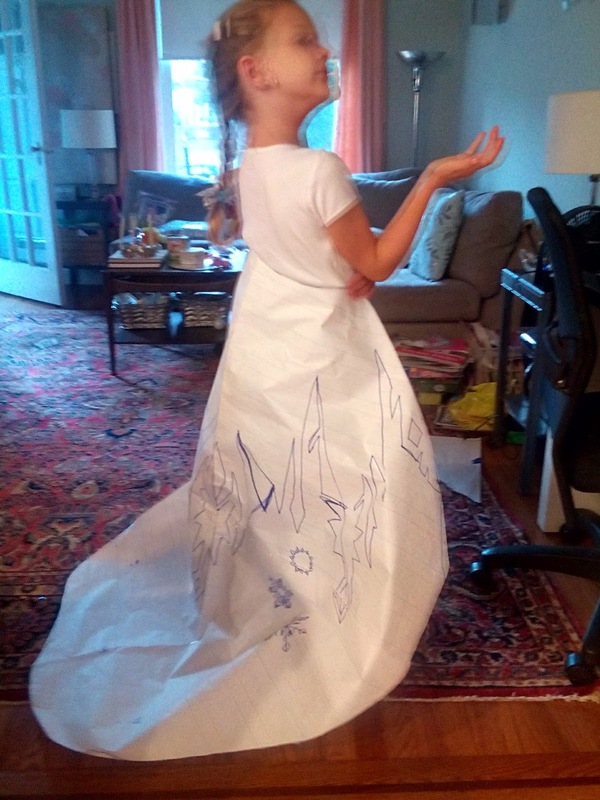 She is technically correct, since Elsa's cape is luxuriously flowing, but I'm not 100% convinced that her teachers will be pleased if she comes to school wearing a 7 1/2 foot long cape. so much longer than the back. So, it fits pretty well on my model. 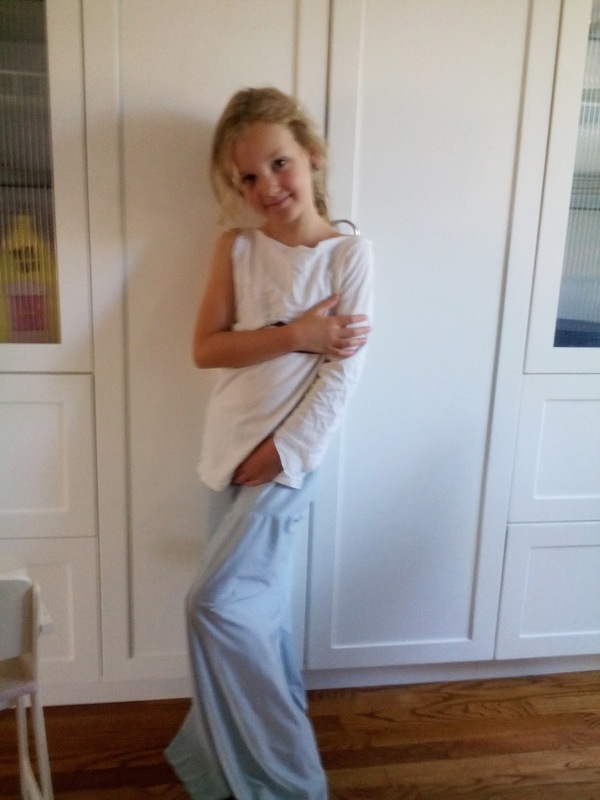 For reference, Tootie Pie is a very tall, 52" 7-year-old. 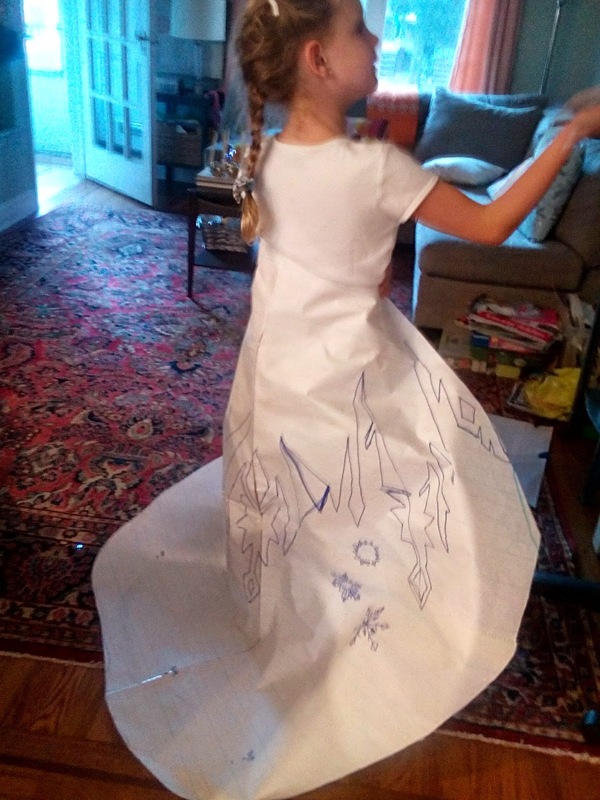 She loves the one-sleeved, hold up the bodice, stick-out-one-leg-so-it-doesn't-fall-down skirt, so imagine how she'll feel when it's done! 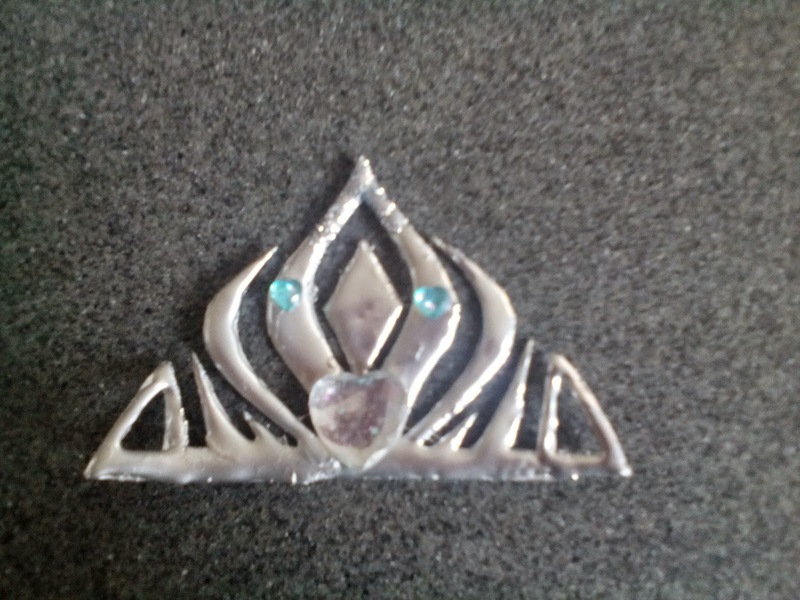 I followed this tutorial to make Elsa crown. 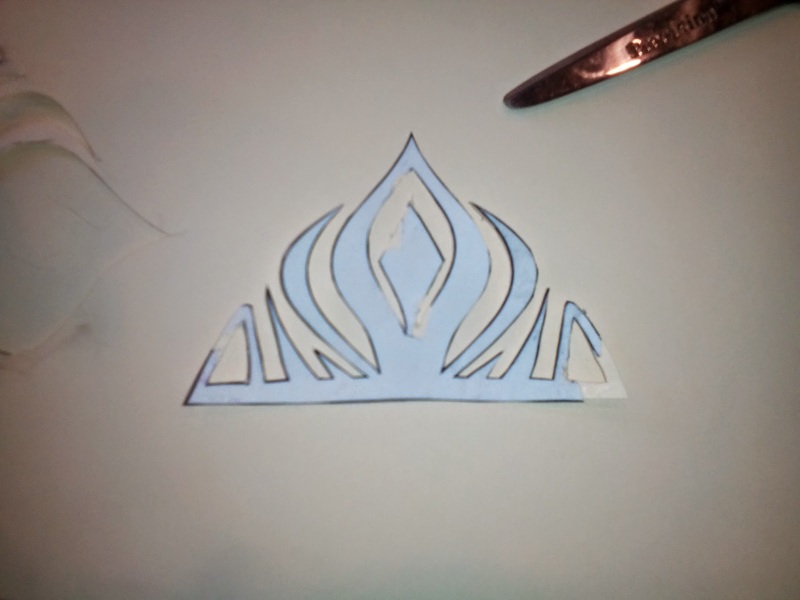 I copied the template, cut it out on cardstock, and then filled it in with hot glue. I might suggest doing this with puffy paint, instead, because that doesn't harden as fast as hot glue. I had to trim some mistakes with an Exacto knife and scissors before I could spray it. I know that Elsa's crown is gold, but A) I don't have gold spray paint and B) I asked Tootie Pie if she wanted authentic gold or snowy silver, and she chose wisely. She takes after her mother in her preference for silver, I guess. Once I sprayed it, you could really see the flaws, so I covered the lumpy bits with jewels and, for the narrower parts, glitter. 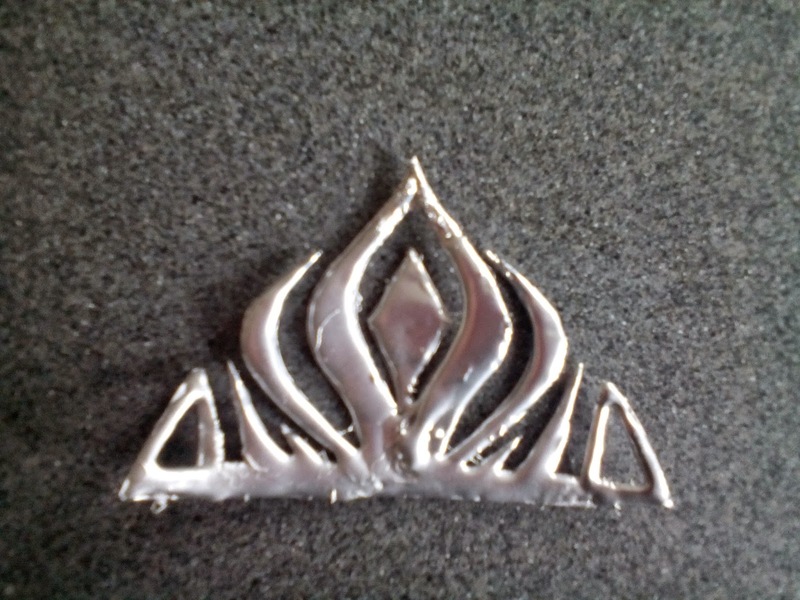 I will attach it to a hair comb that I have from the handmade bridal veil I made. 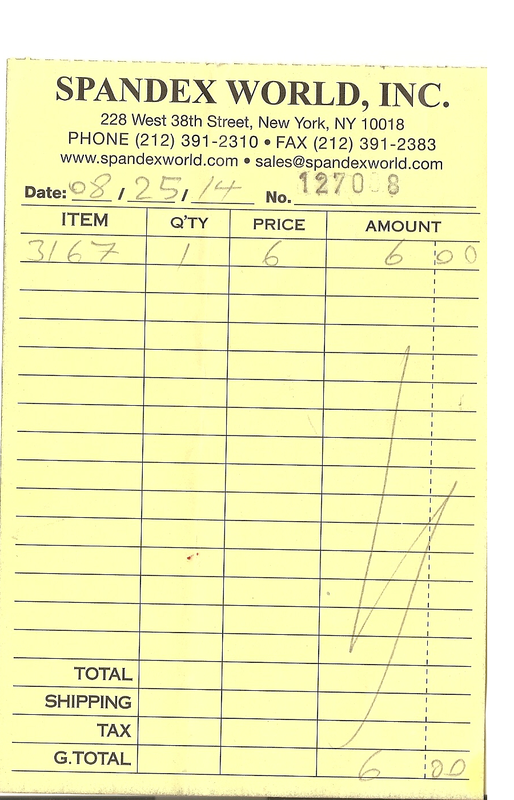 I had everything on hand, so this cost me nothing. painted. Kind of messed up.